Apple lets you avoid remembering so many passwords that you use on iPhone with the Autofill and Saved Password feature. You don’t have to remember and enter the password each time you visit the website. But sometimes you need to view or edit the username and password saved on your device. Or, you need to view them when you are logging into a website on any other device. 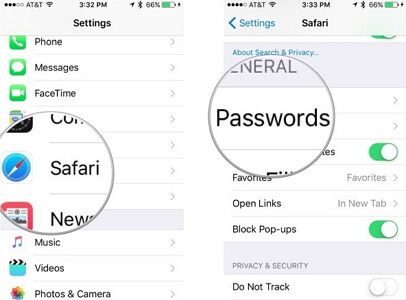 Now, you can find saved passwords on iPhone easily by accessing the Settings of your iPhone. It is to be noted it contains only those passwords that are saved on your device. However, you can view the passwords for other websites and use it on other device or browser. 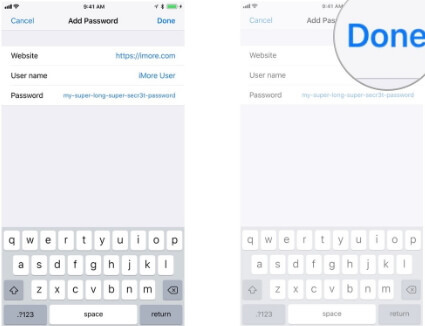 If you don’t want to enter your credentials each time when you visit a website on your device, you must save password via your iPhone settings in advance. Open Settings on your device and tap on Passwords & Accounts. Once you save the passwords for each website, there are multiple ways to find the saved passwords. Here are the simple steps you can follow. Step 1. Open Settings and go to Accounts & Passwords. Step 2. Tap App & Website Passwords. Step 3. Authenticate using Touch ID. Step 4. Tap on a website to view the password. Step 1. Open Settings and go to Safari. Step 3. Authenticate using Touch ID or enter the device passcode. Apple’s iCloud Keychain also has the syncing facility on iOS and MacOS. If you are using iCloud Keychain on your iOS and MacOS devices, the login and stored credit card details will easily sync with other devices having Safari app. 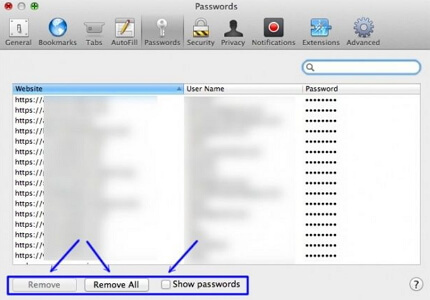 This allows the Mac users to recover the saved or forgotten website passwords on other Apple devices. You can follow the steps given above for finding the accounts and passwords on other iOS devices. Step 1. Open Safari and then choose Preferences and click Passwords. Step 2. Choose a website to view the password. Step 3. Select Show Passwords for the chosen websites. Step 4. Enter your Mac password. As of now, the best password recovery tool for iPhone will come soon and iMyFone is working on this safest and best password recovery tool for all the iOS users. Step 1: Launch this software on your computer and then click Start button. Step 2: After connecting your device, you can start to scan. Step 3: Once the scanning completes, all the saved passwords will be listed and you can export them without delay. When you create an account using the Safari browser, your account details will be saved to the iCloud Keychain. But, you can also manually save the accounts and their passwords on iPhone. 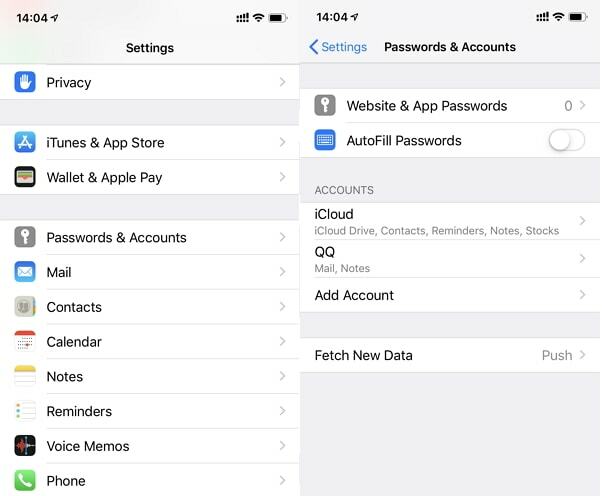 Follow the steps below to add accounts and passwords on iPhone. Step 1. Open Settings -> Passwords & Accounts -> Website & App Passwords. Step 2. Use Touch ID or Face ID to authenticate and Tap on “Add Password”. Step 3. Enter the Website name, username and password that you will use to log into the account. Tap Done. Step 4. The accounts and passwords are saved successfully. All the above methods are safe and will quickly help you to find saved password on iPhone. If you are looking to recover the saved but lost passwords on iPhone, you need to wait patiently. Do you have any questions regarding the above methods? You can leave comments to let us know.